We want to make your opinion count. Your feedback is important to us. We carefully review all customer testimonials and often make improvements to customer services, products for online purchase and our site in general, all based on your feedback. Please, give us as much of this information as possible so we can include your comments/ feedback as part of our monthly updated Testimonials page. Thank you! This is a free service to the Liturgix.org Community. To ensure that Liturgix.org is serving your needs, we've created a feedback form at Liturgix. We encourage you to share your experience with all members of our community and let us know if we can do something for you. Your ideas and/or suggestions are welcome!
" … Just received my order of Russian style kamalavka (item N0201). I was very pleased and satisfied with the craftmanship and look as well as the fit. Excellent job! I will be ordering more in the future. Great prices, great products as well. Thank you and God bless... "
" … The exorason (item N0022) arrived. It fits perfectly. Thank you. Good lent. 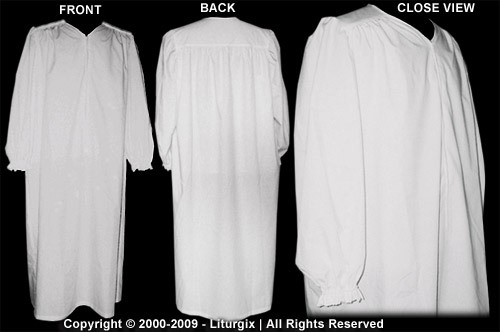 I pray the Lord keeps you safe and grants you peace... "
" … I just wanted to let you know that I am ordering my cassocks now exclusively from you because you deliver a superb quality for a very reasonable price. FedEx just delivered the package. Thank you very much and they (item N0020) turned out beautiful! I am very pleased... "
Warmest personal regards, and many thanks for your kind attention... "
" … Thank you so much for your help with all of our queries. Thank you for sending everything to us and accommodating our custom order (items FL100M, EP100M and V0201). 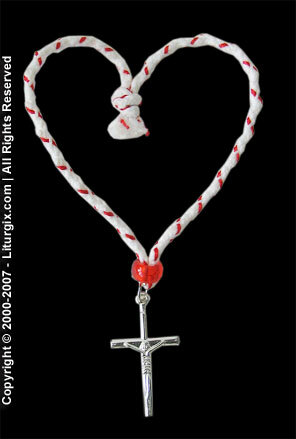 Everything is lovely... "
" … I have received my order of one Pectoral Cross with Ruby stones (item V0203). It had arrived in a very timely fashion and all items were in excellent conditions. I want to thank you for the free gift of the Shirt (item MI529) and storage boxes (item GT115) for the crosses I had ordered. The boxes are very nicely done and I appreciate your generocity. I look forward to doing future business with you... "
" … I have received my order (item OCU401) and am very pleased with the final product. Thank you very much... "
" … I received the merchandise (item MI302) today and I am pleased with it. Thank you for your great customer service... "
" … thank you very much, I really apreciate you fine work... "
" … thank you so much for your wonderful service. We look forward to receiving the vestments and cassock! May God bless you... "
" … thanks for your continued excellent customer care... "
" … the t-shirt (item MI529) and bookmark (item GT054) are very nice, thank you... "
" … thanks a lot! A great and pleasant surprise (item MI529)... "
" … in one of the last shipment there was a bookmark (item GT054) made of golden fabric with a tassel on it. It was a perfect gift! I am very happy with it. I am reading a lot of books and I have it actual in use. 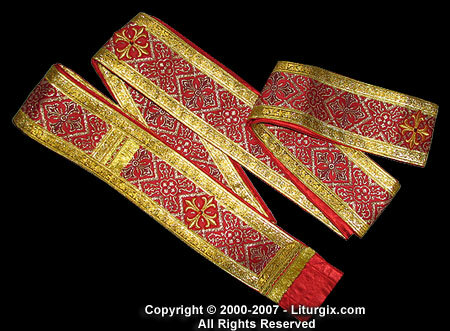 It was an excellent idea to make such a bookmark... "
" … the parcel with my red silk moire biretta (item MI314) for Autocephalous Churches with red twisted strings on top arrived in very good shape. Very excellent packing. I am very happy with the Biretta. Everything is to my full satisfaction. Thank you for this good work... "
" … thank you for your prompt and helpful response. I appreciate doing business with those who embrace good customer service, which is why I patronize company's such as Liturgix. I look forward to doing future business with you... "
" … the parcel with my scarlet shash with scarlet trimming (item MI324) arrived in very good shape. Very excellent packing. No damage at all. I am very happy with the Shash. Everything is to my full satisfaction. Thank you for this good work... "
" … my cassock (item OCU501) that you so beautifully made for me arrived today. The adjustments to it are perfect. I like it even better than my first one. Thank you so much. God willing we will do business for many years to come. Vo Istinu se Rodi! Puno vam zahvaljuljem na svemu, (thank you for everything)... "
" … allow me to comment you on your excellent business. It seems that many church supply companies are taking advantage of churches and clergy with their very high prices, but Liturgix always has a great, diverse selection at affordable prices. Thank you for your superb offerings... "
" … In joy i read on your website and saw that much there was very much cheaper than elsewhere. I also learned that you have an alternative of payment, where i can do small monthly installments. This is Good news and a answer from The Lord on all my Prayers... "
" … the parcel with my black and red birettas (item MI314) arrived in good shape. Everything perfect. I examined the merchandise and everything meet fully my requirements. The size fits perfect. I am very satisfied with them. Very excellent workmanship from your craftsmen... "
" … the package (items OAC400 and MI303) was received today, in good shape, and I must say all were beautiful and as anticipated. Thanks to both you & your sister, a very good & satisfactory job. May God's blessings be with you both… "
" … I received the merchandise (item MI059) from you yesterday. Thank you for the T-shirt (item MI529) and amulet (item GT052)… "
" … the package with my Syrian skophia (item MI323) arrived in very good shape today. Packing was very good and stable. I am very satisfied with the Skophia. Everything fully meet my expectations. Thank you for prompt and reliable shipment and delivery… "
" … thank you for your communications with me and assistance in getting this order through before Christmas… "
" … the parcel with the bishop's mitra (item MA035) arrived in very good shape yesterday. Packing was excellent and very stable, so nothing could happen. I checked the Mitra today and I am more than happy to tell you that your craftsmen have done a wonderful work. It was worth to wait. I am fully satisfied. Everything meet fully my expectations. Thank you again for this extraordinary and wonderful work… "
" … thank you so much for going above and beyond for our priest in the name of customer service! " " … I received the undercassock (item CU021) this afternoon. It fits like a dream. Thank you again for all your help and patience. I greatly appreciate it… "
" … just a quick note to thank you, not only for the gifts (GT052 and MI529), but for all the information you have provided… "
" … let me begin by thanking all of you for how accessible you've made obtaining our religious needs and the understanding you've had in affordable payment plans… "
" … I received the shipment (item CU211) this Sunday and as usual, it is a very nice produce... "
" … thank you very much. My vestments (item CC118) arrived today and i am overwhelmed with the beauty and quality of your work. Thank you so much for all your time and hard work you have done to keep me happy. I will be referring you to everybody that asks and soon i will be ordering from you again. Thank you also for the gifts you sent that was a very nice gesture… "
" … thank you for such fast completion of my order and I also want to let you know my merchandise (item CU506) has arrived couple of days ago. Everything is perfect. Thank you for the gifts (items MI529 and GT052) you have enclosed in my package… "
" … I just examined (item PA008) very carefully. It is very well made. I am very happy with it. Especially the icon and the red stones are marvelous. 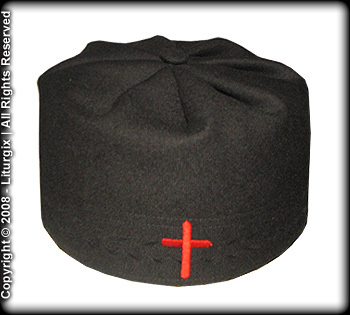 The four-side-cross make the hat effect very impressive… "
" … thank you for your beatiful garments (items CU403 and CU202), pray it will bless and encourage the communities we over see in CHRIST service… "
" … I appreciate the quality of your vestments (items CU200 and OR025)! 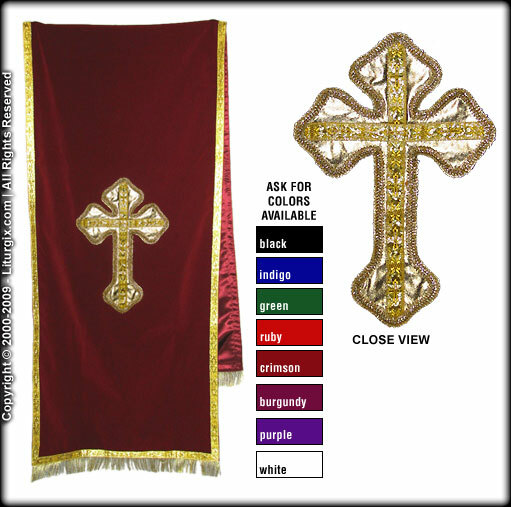 Everything that I order in my liturgical career, will be from Liturgix… "
" ... 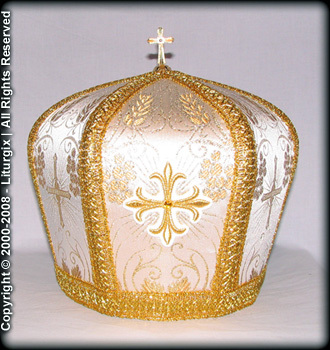 I examind the mitre (item MA952) today and I am very satisfied with your work. 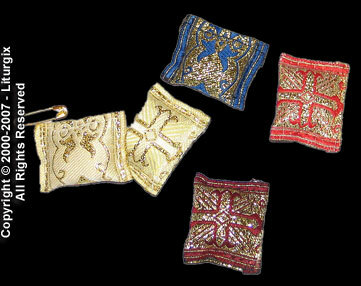 For the fabric, the decorations and ornaments it is made fatastic and mavelous. I am very happy with it. Congratulations to the tailor and the craftsmen... "
" … I received the order a day ago. The vest (item MI520) fits perfectly and is very beautiful. What a blessing to receive the filakto (item GT052) too! And everything in such good time, too... "
" … thank you so much for your attention to this matter. 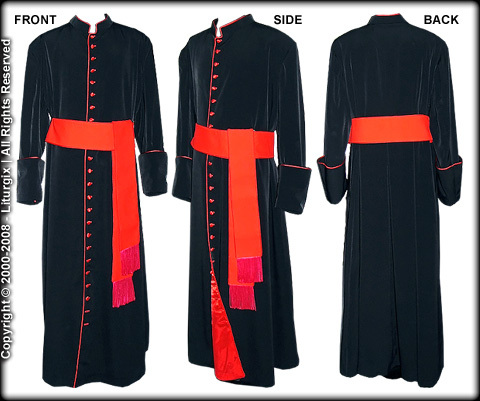 The three cassocks (item CU016) you have made for me are beautiful-excellent! Thanks again... "
" … I just received the chalice, diskos and star (item CS132). As always, excellent workmanship and thank you for gold-plating the inside of the chalice. 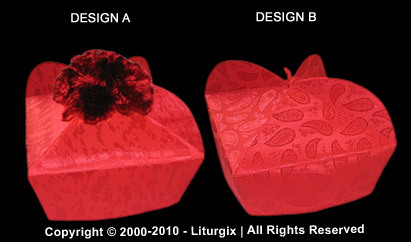 Once again I'm very happy with the quality and service the Liturgix offers... again thank you very much! " " … just received my order. The Antiminsion (item MI059) is beautiful. Thank you for the gift of a t-shirt (item MI529), that is also gorgeous... "
" … I just wanted to let you know that I received the Antimins (item MI059) this morning. This was perfect timing. Thank you very much... "
" … I received the Roman Cassock (item OCU402), and I am delighted. 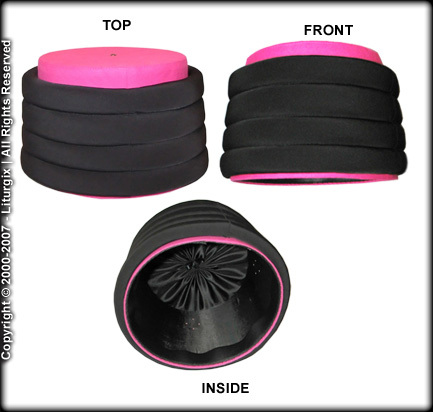 The material is soft and comfortable, the fit is perfect. I did not think i wanted the sash, but seeing the finished product I changed my mind... "
" … thanks for the prompt service in filling my recent order of a cassock (item OCU508) through your company: my order arrived today. I very much look forward to continuing to do business with your company in the future... "
" … thank you for helping me meet my deadline. I received my order (item CC907) today and it is beautiful and the fit is perfect. You will hear from me again and again because the services you offer will be needed again for my fellowship. Thank you and may God continue to bless you and your business... "
" ... I have just received my cassock (item CU403). It is absolutely breath-taking. This cassock far exceeds my expectations. The catalog pictures do not even come close to how beautiful this garment is. The fit is very good, and the fabrics are of the highest quality. May the Lord continue to bless and prosper your business and those who labor in making these outstanding garments. 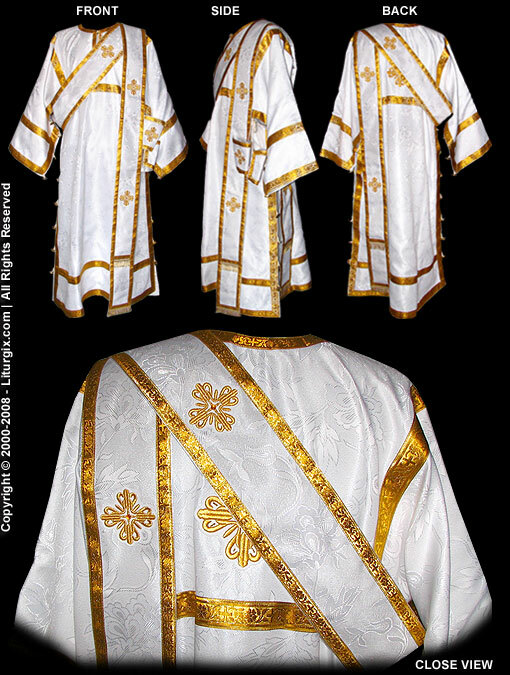 You may use this email as a testimonial of your products... "
" … today I received the deacon vestments (item CC024), and they are beautiful and fit wonderfully! Thank you for such prompt and excellent service. I never expected them this quickly! ... "
" … I just received by home delivery the last shipment with the two skufias (item MI302) and the epitrachilion (item EP158). Again, I am very satisfied by your products and ask you to express my gratitude to the tailors as I also thank you for your assistance… I am indeed very pleased that I have found you... "
" … I received today the shipment with the set of liturgical clothing (items CC156 and PA013) which is very nice. Thanking you for your work... "
" … The parcel with 3 Kossitas (items MI320 and MI321) arrived in very good shape today. Transfer time was very quick. I examined the merchandise and every Kossita is to my 100% satisfaction. All Kossitas are very well made. Please tell your tailor that he had done a very good work. Thank you as well for the little gift (item GT052) you have enclosed. Thank you again for your reliable support... "
" … I got the shipment this afternoon, i.e. that it took 4 (four) days. This is great. Then I am indeed very pleased by the work and completion of the two under-cassocks (items OCU501 and OCU502) and really want to compliment you for your work... "
" … the package (item MI200) arrived today with everything intact. Thank you so much for the unexpected gifts (items MI529 and GT052). Once again your service and the quality of merchandise rates as the best... "
" … our merchandise arrived in good shape yesterday. I am very statisfied with the skufia (item MI319) and its quality and workmenship. It fully corresponds to my wishes. Thank you for this good work... "
" … miracle of miracles: the icon of St. Benedict (item JD528L) arrived today just in time for our special ceremony this Wednesday. Thank you so much. It is exqusite!... " " … the wonderful shirts (items MI522 and MI528) arrived before your email! Now that's what i call service... "
" … thank you for your help and great service... "
" … the white vestments (item CC156) were a perfect fit and I am delighted with them... "
" … many thanks for your excellent service for me and clergy... "
" … the vestments (items OCC400 and OAC400) arrived in record time and they are absolutely beautiful. Even better they fit father perfectly. Our priest is most pleased. If I can get someone to donate some more money maybe I can order him some green vestments. Thank you so very much... "
" … I have received all of the items that I ordered in good condition (items CC123, MI200 and CU001). They are beautiful. Thank you for the excellent service!... " " … thank you very much for your updates! It's been a pleasure dealing with you!... " " … my riassa (item OCU203) arrived today; looks beautiful!... " " … the cassoks (items CU001 and CU005) arrived last week and they are beautiful!... " " … I received my cassock recently. I am VERY PLEASED with my cassock (item OCU403), and find that is of superior quality to the CM Almy cassock of similar style. I have recommended your site to the five clergy and six seminarians at my parish... "
"... I have just received my order (items CR307, V0203, MI071 and MI059). I truly appreciate the way my order was handled and the gift of Martenistsa (item GT048), I will find a blossoming tree to hang it to as soon as I see one blossom... "
" … I received my cassock (item CU004) yesterday and tried it on. It looks and feels great! I'm very pleased and impressed! 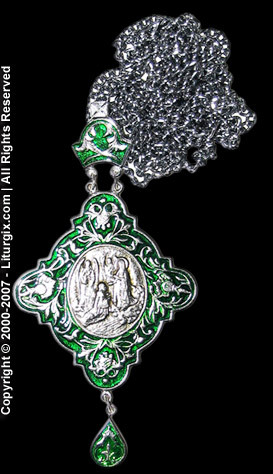 Though I'll not be able to wear it until late May (when I'm being made a subdeacon), I'm already sure I'll love it! One of the other subdeacons said he was in the market for a new cassock and I'm definitely going to suggest you!... " 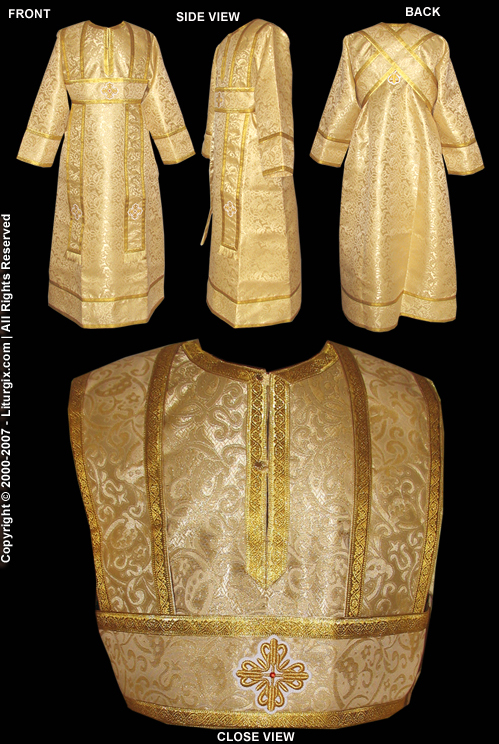 " … we received subdeacon Nicodemus's vestments (item CC707) today. They are beautiful. Thank you very much... "
" … I would like to say a great thank you to you and the craftsman and your staff for your diligence on this matter. I have recieved the package today (items CR031, CR003 and CR010) and the pieces are just great. Thank-you all again! This makes all of our parishioners on step happier to enjoy these great gifts to our parish... "
" … everything arrived (item GT049)... beautiful. Thank you for the Martenitsas (item GT048), what a lovely custom. 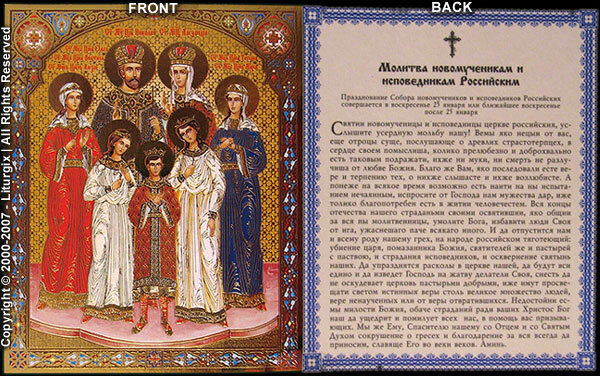 One of the icons of the Last Tsar and family is going to a friend's son who is nine and fascinated by their lives. He is on the genius level so he comprehends and he'll be thrilled... "
" … I have ordered cassocks (items OCU500 and OCU501) from you last year. Many people comment on where I had them made. I give your company high reviews!... " 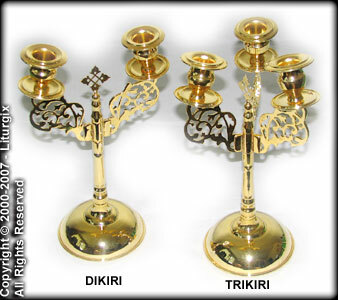 " … concering the biretta (item MI318) and skophia (item MI316) I am very statisfied with quality and craftsmenship. 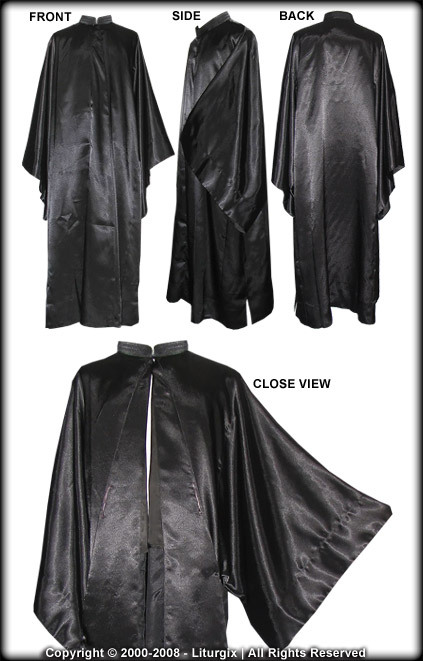 Thank you for your prompt and reliable support... "
" … I have received my new priest's vestment (item OCC400) and I could not be more pleased. It fits me perfectly and truly is very beautiful. Quality is precise and excellent. Thank you for your excellent service and caring, courteous, assistance in instances where required, again a hearty THANK YOU ALL! A well satisfied customer!!!... " " … our package arrived early this week (items AC520, AC521, AC522 and AC523). I have not inspected each piece but will do so at the time we first adorn the church with them. The pieces I did look at were beautiful and Fr. Peter is pleased. Thank you for the samples, shirt and cross and for all you help... "
" … I cannot tell you how pleased I am with the kamilavka (item MI200). 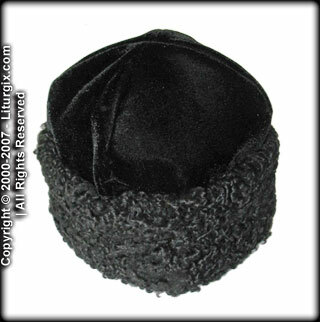 What a blessing... "
" … I received my first black clerical hat, Greek style (item MI200). 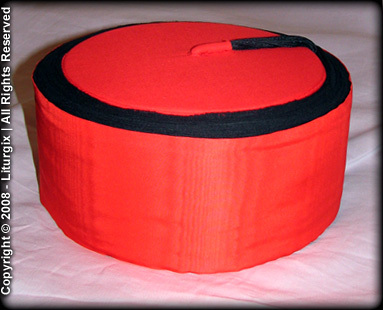 It fits, and I am completely satisfied... "
" … I apologize that I did not respond sooner, but I received my order for the cassock (item OCU200) and I truly suprised how soon I received it. I would like to thank you very much for rushing this order. I truly appreciate it. May God bless you for the work that you do… "
" … the package (item CS120) arrived today and it is very beautiful. It came just in time for litya at Nativity (OCA is on the new calender). Thank you for your kindness to us at St. Philip and for the gifts enclosed with the tray… "
" … I received the riassa (item OCU206) that I order from you yesterday. Its beautiful. Thank you so much for your work. 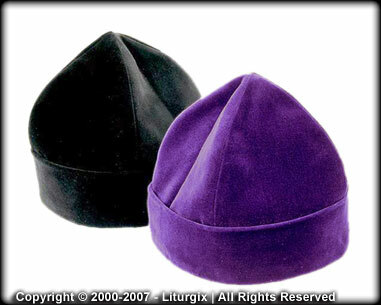 Liturgix will be the first online store that I will refer people to… "
" … I got my kamilavka (item MI250) last week and it is great… It is a great fit and it is exactly the same size as my purple kamilavka. Thank you again so much… "
" … thank you so much for getting the vestments out to us so quickly. You exceeded our expectations. Everything (item CC120) looks very good... "
" … I have received my order today. I have looked at and tried on everything (item CU011) and I am pleased with the order. Thank you for the swatches and the bracelet. I am very satisfied with your services. I have already passed your site along to others. May God continue to bless you and your work… "
" … I received my order (item OCU001) yesterday, your workmanship is fantastic. God Bless you and your staff for the fine work and products… "
" … thank you for your execellent customer service, I appreciate your cooperation and look forward to working together in the future… "
"... by the way, I love the Liturgix t-shirt (item MI529). It is so comfortable and lovely the way it is made and the emblem on it... Thanks so very much for it. It is the very first t-shirt that actually fits me so well... I will enjoy wearing it more often... "
" … thank you for the excellent epitrachelion (item OEP400) received today. I am delighted with it… "
" … my order for a bishop's pectoral cross (item V0203) arrived today, along with the several gifts I am honored at receiving. Everything is BEAUTIFUL! Your service and attention was A+! " 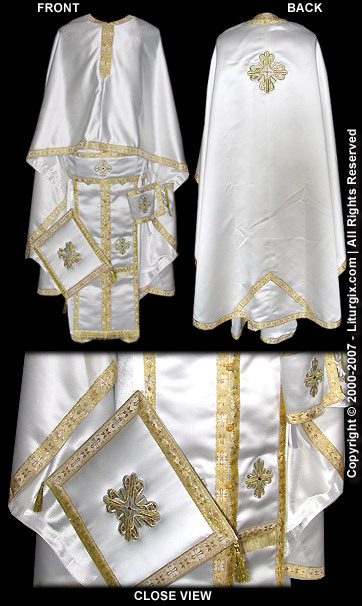 " … I have finally opened the long awaited package containing the priest's vestments (item CC123) that I had ordered. I am impressed with the quality of the material and the care that has gone into making them. I would like to thank your company for its service; most impressive! " " … my friend and I just returned home to find the beautiful riassas (item OCU500), stoles (item OEP400) and kamaliavki with veil (item MI350)... 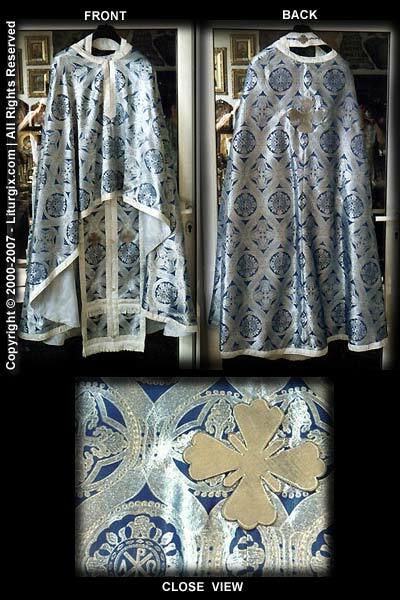 Thank you so very much for the beautiful workmanship in these vestments... 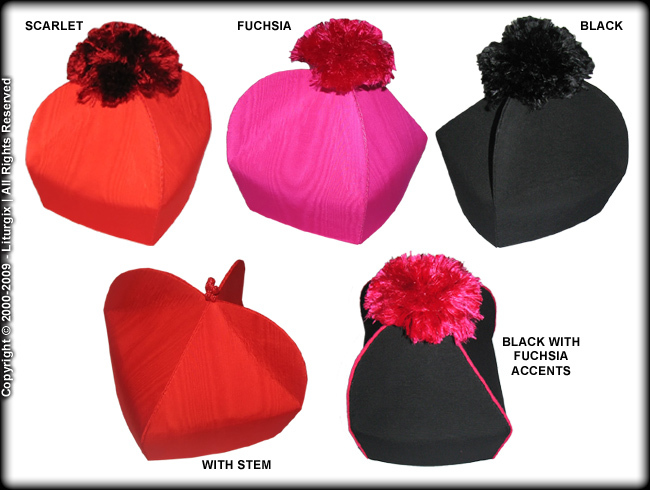 I know that our Metropolitan will be very pleased when he sees us at the next Clergy Synod... We shall be sure to spread the word about your wonderful products… "
" … I wanted to express my thanks to you for your service and excellent cassock (item CU009). The under-cassock I ordered was just as you had shown and advertised on the web site (actually, it was even better and more impressive in quality and workmanship), and the price was very, very reasonable. It came to me in some sort of record time, much to my delight and surprise. The care and time you all have put into taking my order, handling it, making the cassock, staying in touch with me throughout the process and getting it to me so quickly have been very much appreciated by me (and others at my St. Alexis Church here are very impressed!). I do believe all of you set an example for all of us, doing and being what we should all be for our brothers and sisters. Thank you again. I am sure I will be a returning customer in the future… "
" … the tabernacle (item MI007) arrived a week ago, and it looks beautiful on the altar… "
" … the inner riasson (item CU500) arrived recently, well ahead of the date by which I had requested it, and it's excellent. The garment fits very well, is comfortable, and looks good. The quality is, as usual, just outstanding… and thank you for the gifts ~ the portable icons and the t-shirt… "
" … May Christ our true God prosper all the works of your hands and bless you all… "
" … Thank you again for you fast and courteous service and for your help. With you information I can see that everything is just right and the fit is perfect (item MI351). Also my t-shirt (item MI529) is great I will probably order more of those as they are great under the vestments… "
" … The vestments are wonderful; my gold deacon set (item OCC320) I bought from you six years ago is still going strong and looks great… "
“ … I have received the white rasson (item OCU501), the icon cards and your catalog on disc. Thank you very much. 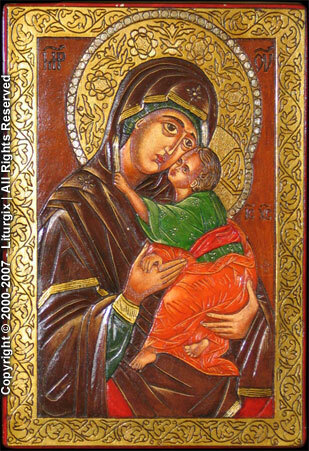 It is a beautiful garment… "
“ … The icon of the Holy Mother of God (item JD012) arrived in good order, and it is one of the most beautiful icons I have seen is a long, long time. The quality is so good. I congratulate you on offering these icons to the public.
" ... I picked up the parcel (item CR010) fom the post office, and the cross is beautiful. Thank you... "
" ... I received my cassock (item CU200) today. It fits perfectly, and the workmanship is wonderful. I was amazed at the speed in which it arrived. Thank you very much for the icon-card of St. Michael the Archangel, it was a nice personal touch... "
“ … The cassocks (items CU008 and CU009) arrived today and they are beautiful. I item purchased (item ZK015. “ … Greetings! Thank you for your prompt reply and helpful answers.
" 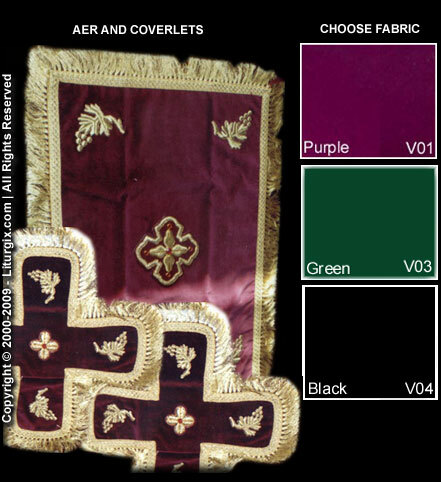 … I have received my vestments (item CC117A). What beautiful work! Truly God is glorified in your work. You have certainly earned a life long customer in me. They were exactly what I wanted and I was not even very articulate in telling you so. It was as if you read my mind! And after others see these vestments, they will ask me and I will tell them to come to Liturgix… "
" ... I just received the last altar boy clothing (item OCC200). I want to thank you all and sent you many blessing in the Name of the Father and of the Son and of the Holy Spirit. Amen. Please be insured that if I need any clothing it will be order through you... "
" … The Skoufos (item MI302) arrived safely today. 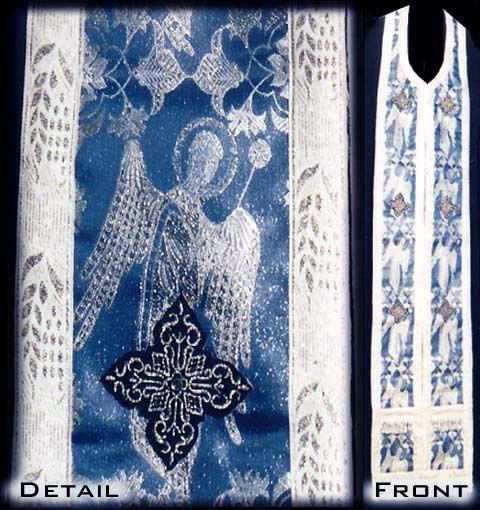 We appreciate your efforts… "
" …I received the rest of the vestment set (item OCC400) today. All is well. Thank you… "
"... 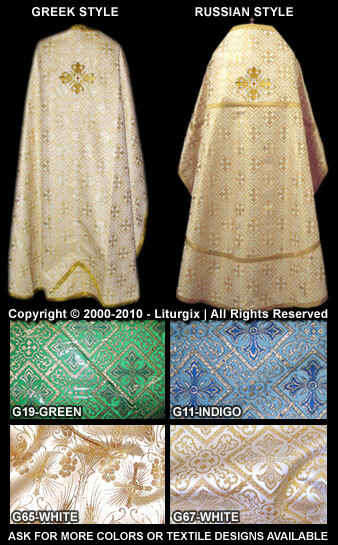 The vestments (item CC116) I purchased through Liturgix arrived a few days ago. They are so beautiful and appear to be very carefully made. I cannot believe how reasonably they were priced. As you know, I was already humbled by your exceptional politeness and patience, and already grateful for your kindness in allowing me to personalize the style. Bless you and all at Liturgix. I truly believe that you are earning a reward in heaven for the most special and wonderful work that you do. I will not hesitate to recommend you to any and all..."
"... We did receive the cassock (item OCU200) in excellent condition and in time for my husband Harrison's ordination to Subdeacon. Thank you for working with us on the time and for doing an excellent job. The cassock fits perfectly and is exactly what he wanted..."
"... Hat (item MI250) arrived very fast - YESTERDAY! Thanks for the great service (although I suppose the post offices involved deserve some credit, too)..."
"... 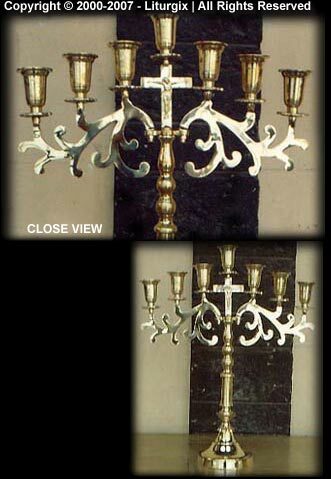 Thank you for your excellent service with this order (item OCC324)..."
"... Our candelabra (item IL100) arrived yesterday in perfect condition. I have attached a picture for you, so you can see it installed on the Holy Table of our church..."
"... I am honoured by your thoughtful consideration and for your considerable effort on my behalf (item CC116). The sample cross, and your suggestion for the epitrachelion, are both excellent. I remain humbled by your too-kind service. I trust you entirely, please do proceed according to your own judgement..."
"... Thank you again for your prompt service. I think we're all set - they are truly beautiful garments (items OCU500 and CU500)..."
"... 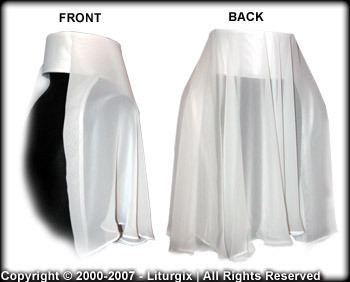 I recieved the under cassock (item CU500) I ordered and it IS wonderfull!!! Thank you very much on your speediness. I would like to add you to our web site links, I hope you dont object. Once again, Thank you!..." "... Thank you for your recent update. I have always been thoroughly happy with everything I have ordered from you. I am sure that I will be completely satisfied with the substitutions you mentioned.."
"... I received the liturgical spear (item CS112) yesterday. It is absolutely wonderful--it is very substantial--it is a solid piece of metal enclosed with a wooden handle--it is highly polished steel with a very sharp blade that can be sharpened. It is much better than I expected it to be..."
"... I wanted to let you know that today, September 21, I have received my order. I'm very happy with both items (items MI059 and CS081) and want to also thank you for all your help..."
"... The stoles (items EP102, OEP400 and OEP100) and vestment set (item CC102) and the rest of my order (items OAC002, AL008 and MI350) arrived before the promised date. Each is very very beautiful and reflects a generous spirit in its creation. They will be graciously received, gracefully used. I thank you and wish you all good things..."
"... I would like to report that you secured a "red kamalavka" (item MI200) for me last year. It has been wonderful and serves its purpose well. Thank you for your quality products..."
"... I just thought I would send you a note that I recieved the antimens (item MI059) on Saturday September 14 th. 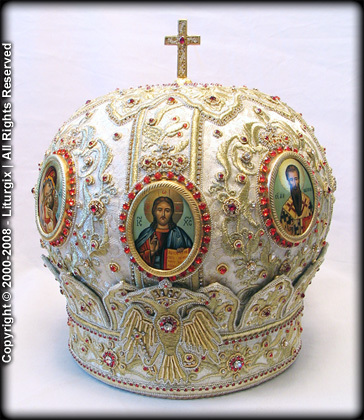 It is very beautiful and will used for Liturgy for years to come. Thank You for your quick delivery of my order..."
"... My cassock (item OCU500) arrived today via express and it looks great. I want to express my thanks to you and your company for your prompt service with my order..."
"...The censer that I ordered (item CE103) arrived in very good condition. Thank you very much for offering such a great product for a great price..."
"... 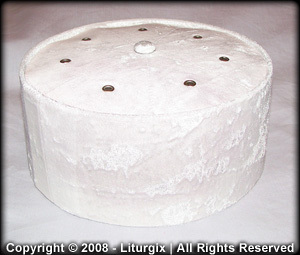 Thanks for the excellent service ..."
" ... our crowns (item MI016) arrived this morning (Sunday). All is well. Thank you for all your efforts. 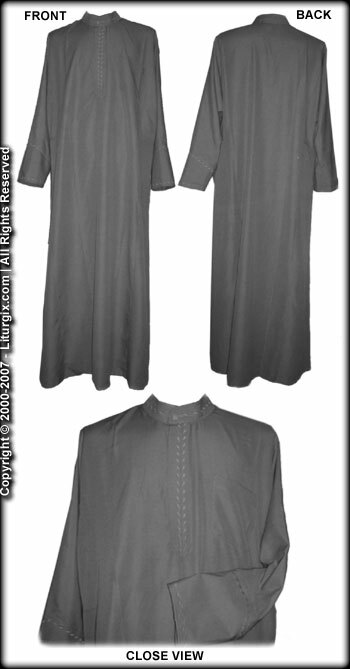 We like them very much... "
" ... the cassock (item OCU500) arrived today allready, and it is most nice! Together with the reception of the beautiful undercassock (item CU009) we are most satisfied. Thanks in deed for a good work! Both clothes fit very well, we have only to shorten both of them 1 cm, and this is not bad for clothes made by long distance according to a measure chart! 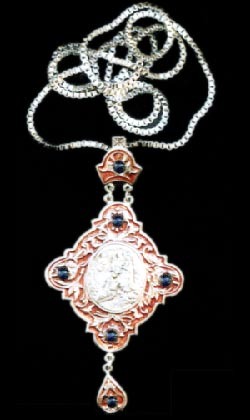 A tailor nearby who would not dream of knowing how to produce the whole equipment - will do this small change... "
" ... the pectoral cross (item V0201) arrived and it is gorgeous. Thank you ever so much. 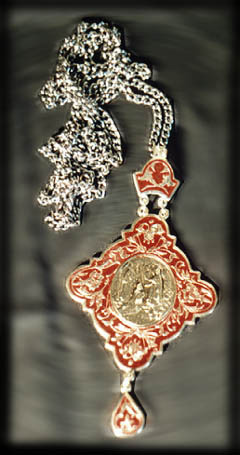 I have already blessed it and put it on... "
" ... the icon (item ZK004) was received today -- thanks. My wife (it was a gift) loves it, and so do I... "
" ... I just wanted to let you know how very pleased I am with the pectoral cross (item V0201) that I purchased last month. I hope to purchase much more from your sight including new robes. Thank you and once again I am very satisfied... "
" ... I am pleased with the fabric, and the overall quality of craftsmanship (item OOR004). Thank you for your prompt and excellent service. 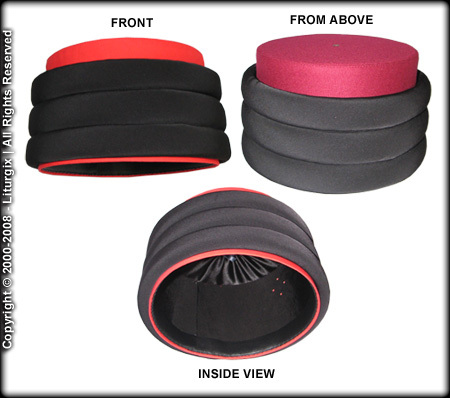 I look forward to placing future orders with you... "
" ... we recieved our recent order (item MI350) today and it fits my head perfectly. Again, thank you for your beautiful work and timely delivery... "
" ... Greetings in the Name of our Lord and Savior Jesus Christ Son of God. 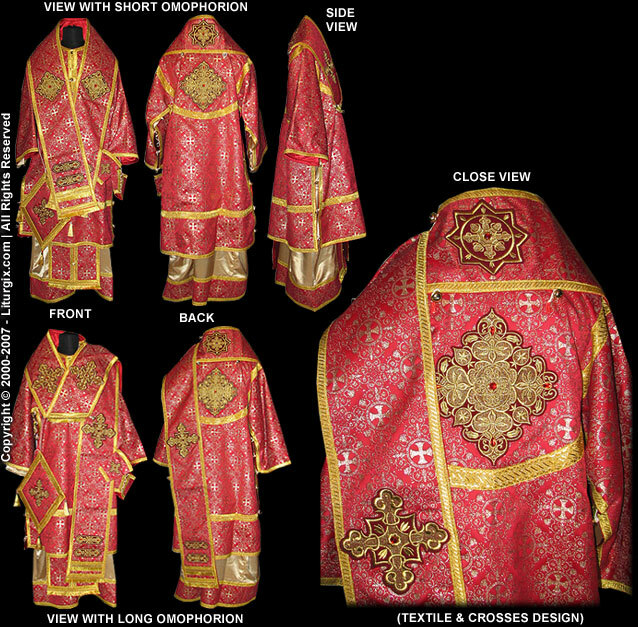 Please be advise that the vestments (item OCC201) look very wonderfully when I get to wear it soon. I thank you all of your kind work and dedication that you have when you do the vestment's or any other type of work for the Church... "
" ... thank you for the lovely under-cassock (item OCU002)... "
" ... my recent orders from you have been received. They were received in a timely manner and are of excellent quality (items OCC201, CU200 and CS112). It has been and will continue to be my pleasure to order again in the future and to recommend your company to my friends... "
" ... I just wanted to let you know that the item (item CU001) I had ordered arrived and is in great condition. Thank you, again... "
" ... we received our order (item OAL001) yesterday, it is just fine and was muxh faster than we expected. 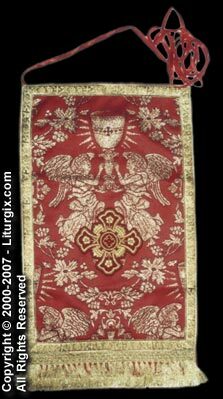 Thank you for your service... "
" ... the altar boy's vestments (item OCC200) are very beautiful and look very good. Please say a special words to the folks that made them. May the Lord our God bless each and Every one of you home. 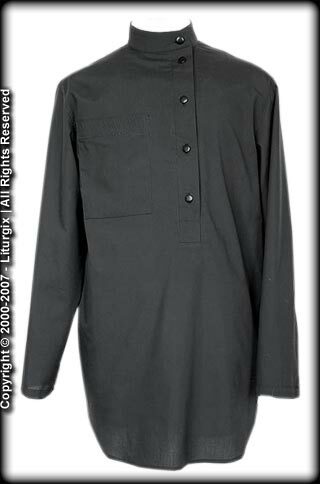 "... the cassock (item OCU500) I ordered is very good, and in the future I'll adress to you for other things. Thank you very much... "
" ... many, many thanks for your assistance. I appreciate the care you've taken with this order and in keeping me abreast of the status. I'll highly recommend your company to others. May you be ever blessed... "
" ... thank you very much! I ordered a cassock (item OCU501) through you... it's beautiful... "
" ... also, thank you for your wonderful and loving work (items OCC500, OAC500, OAC100, CU200 and CU500). You provide an invaluable service... "
" ... thank you so much for the express shipment of my chain and also for your generosity leting me to keep the chain that I received with the cross. May God bless you and the excellent job you are doing via your store... "
" ... my order (item OCU501) was recieved yesterday in the mail. Thank you so very much. God Bless You. Have a wonderful Easter... "
" ... the last icon arrived today (item JD710) - thank you very much! I'm very pleased with all the icons... "
" ... I received the vestments (item CC801) today & could not be more pleased. The pictures on your website do not give them justice. The workmanship is first rate and done by true professionals. The care and execution of the tailoring is remarkable. Thank you very much... "
" ... thank you for your promptness and regular updates. It is so rare these days to find someone who seems to really care about others. Your efforts are truly appreciated. I sincerely thank you... "
" ... the two icons (item ZK021) arrived yesterday -- I'm very pleased. Thank you... "
" ... they (items OCU501 and OCU201) look great and fit nicely. Thanks so much for all your help... "
" ... the order arrived yesterday, and everything is absolutely wonderful (items OCC200 and AC500). Thank you **so** much! I'm sure we'll be in touch again the next time we need anything... "
" ... the diskos and starlet (items CS021 and CS031) look more beautiful than the picture shows. Thank you so much for your help and suggestions. We now have a Chalice set that we can be proud of... "
" ... Greetings to you and everyone back home. My black raso (item OCU201) is BEAUTIFUL. May the Lord our God Bless you all... "
" ... thanks for your efforts in my case. I appreciate the work you are doing, and the personal attention you are putting into this. It makes me happy to deal with good people such as yourself. Everything arrived perfectly today (items CR312 and IL053) - thanks so much for all your help and work. I look forward to doing more business with you in the future... "
" ... thank you for your wonderful work (items CU009, CU200 and EP116), I shall be using your service and gifts again... "
" ... I received my inner-cassock (item CU009) on time. It is exquisite!!! Thank you... "
" ... please be advised that I have pick up the cross (item CR207) from the post office this morning and it is very beautiful! Everyone like it and it looks good on me. Again thank you very much... "
" ... thanks for your usual excellent service (items OCU201 and MI302)... "
" ... I received the orarions (item OOR004) and they are beautiful. Thank you for your hard work... "
" ... may God bless you, your family, the wonderfully work you do for the Orthodox Church... "
" ... just want to inform you that my husband is very pleased with the communion kit (item MI110). God bless you... "
" ... so, my thanks for two beautiful pieces of work (riassa OCU500 and epitrachelion OEP100), which are a great help for the sacred ministry... "
" ... thank you for your kindness and promptness with my order of a russian cassock (item OCU500)... "
" ... the red kamalavka (item MI250) arrived today. It is beautiful and fits perfectly..."
" ... my garments (item OCC901) have arrived and are simply beautiful. Thank you for your expertise... "
" ... I received the parcel only several days after this response from you. The aer-covers (item OAC400) are very nice... "
" ... thank you for your quick service in regards to my cassok (item OCU501). It is great. As always, you have provided an excellent product, low price, and wonderful quality... "
" ... the shipment (item OCU500) I inquired about arrived this morning. The quality of the workmanship is excellent. Soon I will be ordering another cassack along with some other items... "
" ... I am happy with the Vestments (items OEP001, OCU500 and MI350). Very well done... "
" ... the klobuks (item MI350) and other items (items OCC001, OCU501 and OCU201) arrived today, literally hours before they were needed. They are beautiful, and I am very happy! Thank you, and thanks be to God for His work in speeding up the mail service from Europe to the US... "
" ... my order (item CU009) arrived safely and early! Many thanks to all of you. God bless... "
" ... thank you for my cassock (item OCU500) that arrived today. I am very happy. 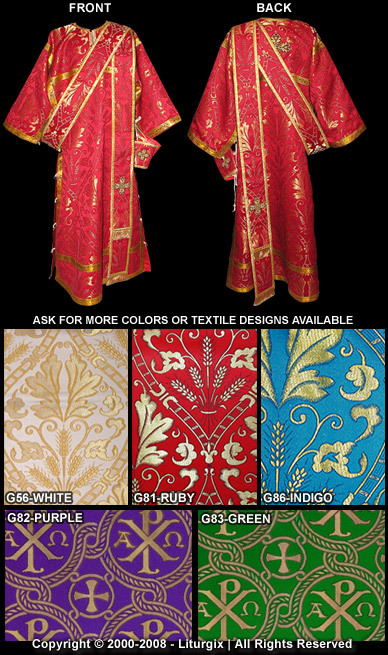 I will be sending your info to my bishop... "
" ... thank you so much for the vestments (item OCC100) that I ordered prior to Pascha. 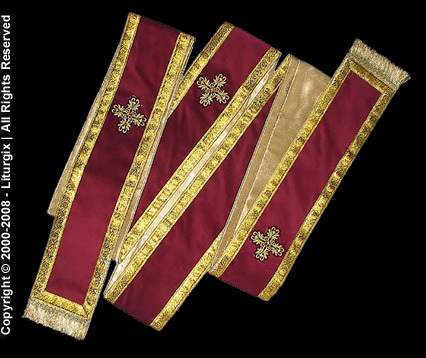 I received them the other day and wore them for the Paschal Liturgy. The red velvet pattern is simply beautiful. I look forward to ordering again soon... "
" ... the products (items CU008 and MI302) are very nice. I have recommended your site to many preists and friends... "
" ... my wonderful order arrived! 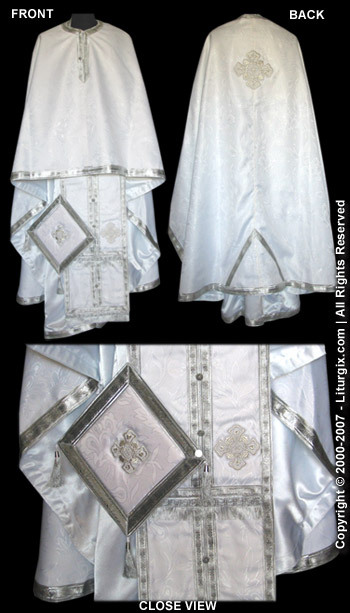 I wish to thank you for the very beautiful priests vestments (item OCC100) that were sent. The "purple" velvet was very fine and the stitching was done very nicely. So, thank you again... "
" ... thanks for the recent notice that the order (item CU200) should be here by 3/1/01. Wonderful surprise - It got here today. Very, very nice work. MANY, MANY THANKS to you and all the staff for the high-quality and quick shipment..."
" ... thanks for your prompt service (items OCC901 and V0203). I am enjoying your website and the values that you are providing. As a new Bishop, I am looking for vestments and trying to do it economically. "Liturgix" fits the bill. Thanks again..."
" ... I received the White Vestment Set (item CC116) this past monday. It arrived in fine shape and I'm very impressed with the workmanship. Thanks for passing on the extra length on the phelonion and the embroidered icons. Thank you again..."